A cover crop is a crop of a specific plant that is grown primarily for the benefit of the soil rather than the crop yield. Cover crops are commonly used to suppress weeds, manage soil erosion, help build and improve soil fertility and quality, control diseases and pests, and promote biodiversity. Cover crops are typically grasses or legumes but may be comprised of other green plants. And, most often, a cover crop is grown in the off-season before the field is needed for growing the cash crop. In essence, a cover crop readies the land for an incoming cash crop. Cover crops improve biodiversity by increasing the variety of species in a given area. For example, if there are more, varied insects that feed on the vegetation, it can bring more birds and so on. Cover crops reduce the amount of water that drains off a field, protecting waterways and downstream ecosystems from erosion. Because each root of the cover crop creates pores in the soil, cover crops help allow water to filter deep into the ground. As a result, a cover crop can help conserve water and prevent soil erosion. Cover crops can help break disease cycles by reducing the amount of bacterial and fungal diseases in the soil. If you have a soil that is infested, you can plant a cover crop in that area as a means to eradicate the disease. Cover crops are sometimes called "green manure" because they provide nutrients to the soil, much like manure does. They are also called "living mulches" because they can prevent soil erosion. A mulch is a layer of organic material, such as crop residue, that is left on the surface of the soil to prevent water runoff and protect the soil from the damaging effects of heavy rainfall. Cover crops are an important part of sustainable agriculture. These crops add fertility to the soil without chemical fertilizers via biological nitrogen fixation. A cover crop can offer a natural way to reduce soil compaction, manage soil moisture, reduce overall energy use, and provide additional forage for livestock. Small farmers choose to grow specific cover crops based on their needs and goals and the overall requirements of the land they are working. Cover crops grown in summer are often used to fill in space during crop rotations, help amend the soil, or suppress weeds. Winter cover crops help hold soil in place over the winter and provide ground cover. These crops can also fix nitrogen levels in the soil. Once a cover crop is fully grown, or the farmer wants to plant in an area the has a cover crop, the conventional technique is to mow down the cover crop and allow it to dry. After it is dry, the remaining organic matter is usually tilled into the soil. Or, many progressive farmers in drought-prone areas favor a no-till method, in which the residue from the cover crop is left on the soil as a mulch layer. 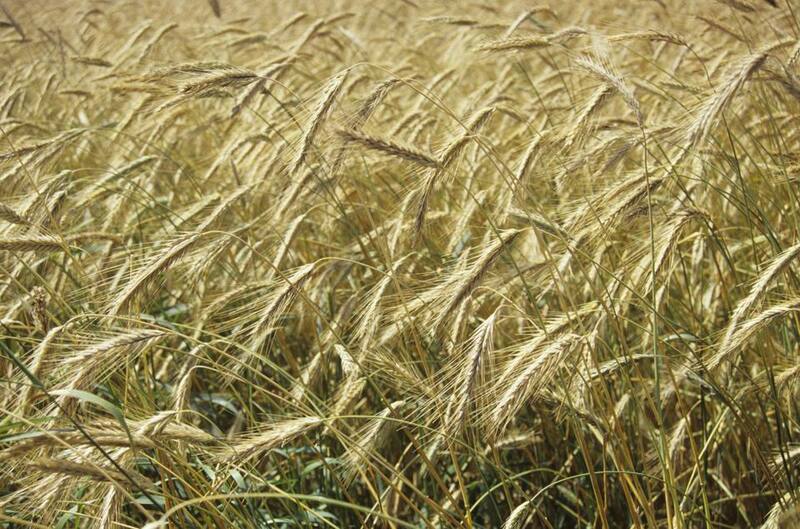 Rye: Also known as winter rye or cereal rye, this cover crop is often used to loosen compact soil and suppress weeds. Buckwheat: Fast-growing buckwheat helps prevent erosion and suppress weeds. Clover: Clover is great for fixing nitrogen in the soil and adding fertility. Sorghum: This hybrid cover crop grows quickly, adds biomass, and suppresses weeds. Hairy vetch: Vetch adds nitrogen and is a good overwinter crop for northern climates.